Chief Oluwole Oladapo Olanipekun, SAN was born on 18th November, 1951 at Ikere-Ekiti. He attended Amoye Grammar School, Ikere-Ekiti, Ilesa Grammar School, Ilesa, the University of Lagos and the Nigerian Law School, Lagos. 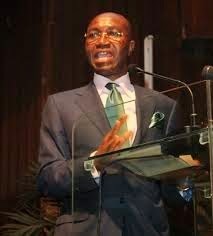 Chief Wole Olanipekun SAN, is the founder and principal partner of Wole Olanipekun & Co. He was conferred with the prestigious rank of a Senior Advocate of Nigeria (SAN) in 1991 in recognition of his invaluable contributions to the advancement of the Legal Profession in Nigeria, about 15 years after he was called to bar. Arguably one of Nigeria’s leading barristers he has been involved as counsel and amicus curiae in many of Nigeria’s landmark cases. He is also in top demand internationally as an expert in Nigerian law. 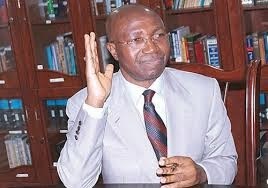 Chief Olanipekun has presented over 100 papers on diverse topics on Law, including; Economics, Politics, Literature and Corporate Governance in and out of the country and within and without several universities. His practice areas include constitutional law, pre and post election dispute resolution, arbitration and alternative dispute resolution, labour law, commercial litigation, criminal law and general practice. He is presently the Pro-Chancellor and chairman of the Governing Council of Nigeria’s Premier University, the University of Ibadan. He was President of the Nigerian Bar Association (NBA) between 2002 and 2004. Where He displayed quintessential characteristics and took the Association to an enviable height. He exuded brilliancy, diligence, enthusiasm, industry, probity, conscientiousness and unparalleled patriotism to the Nigeria Bar Association (NBA). Under him, NBA identified and stood for justice, rule of law, constitutionalism and with courage, opposed all forms of oppression, repression, brutality, ruthlessness and injustice. He has at different times served as a member of the National Judicial council (NJC), Legal Practitioners Privileges Committee (LPPC), Council of Legal Education, Legal Practitioners Disciplinary Committee and General Council of the Bar among others. A Fellow of the Chartered Institute of Arbitrators, he was also conferred with the national honour of the Officer of the Federal Republic (OFR) in 2012.